Curious George 2: Follow That Monkey hd All finished areas are 100% complete. Finally, one piece of the puzzle is completed! This is a section of the house that will be used as a small shop for a while. It is adjacent to the shipping area that we will be using until the new building is complete, then is will become my modeling room. 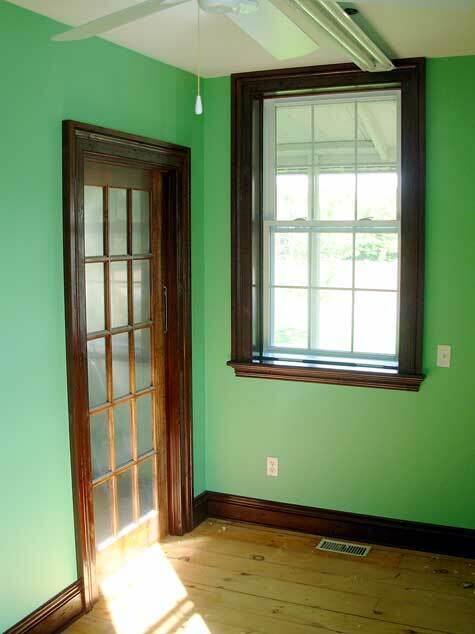 You would never guess all that trim is simple 2×4’s…. Finishing this off is like doing a puzzle, every job effects something else, I am ending up in situations where I can’t paint the window frame until the phone is hooked up. Its a cascade of cause and effect. But fortunately, the job is almost compete and the move will finally happen this weekend. 10,000 BC movie full Time to deligate. Finally got all the trim (or skirting if you wish) milled, and started staining it all. 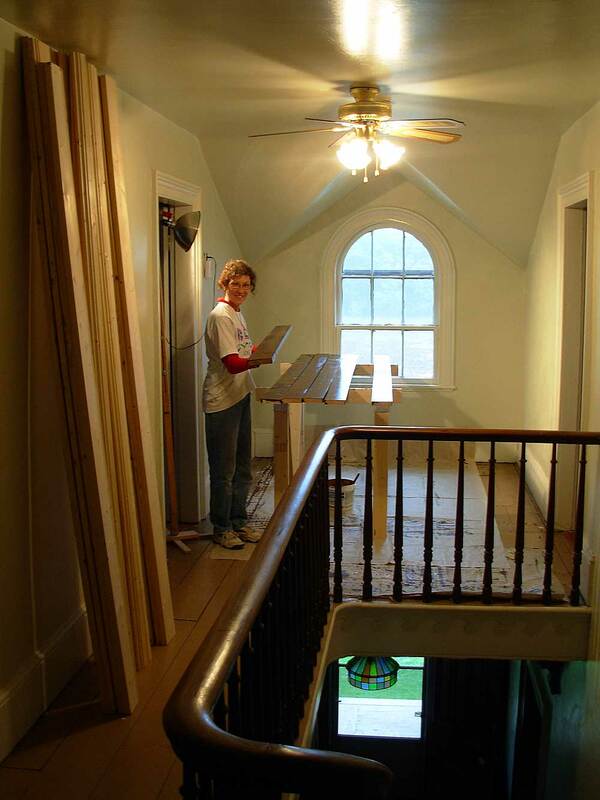 Hard to believe a room this small can use up so much lumber! Almost 1000′ linear feet of wood will go into trimming out this space (not the space in this picture, the layout room). I decided to farm this job out to Vita (my wife), so I can get on with some other jobs. Once I have some in place I will put up a few shots. Should look pretty good! 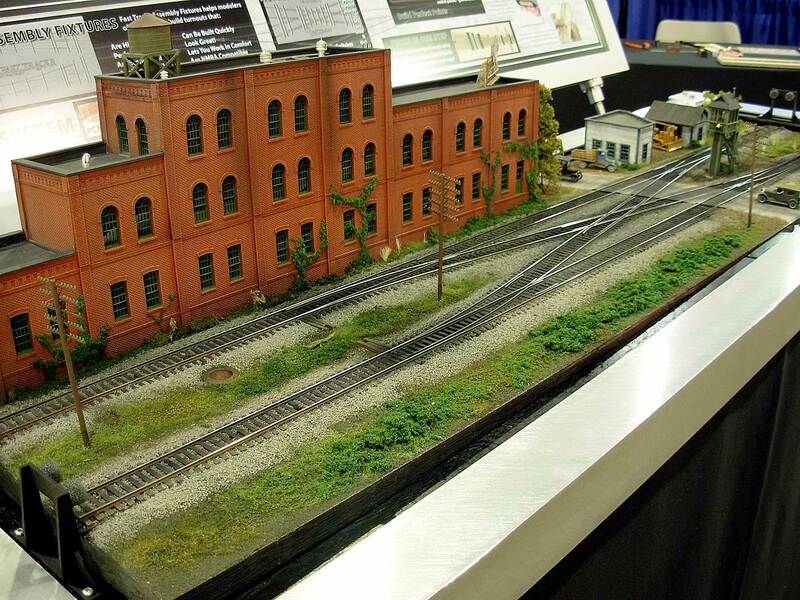 Cold Creek Manor move This is a shot of the “Tilting table” we built for the NMRA Train Show in Philadelphia in July. What this table did is slowly rock back and forth allowing a stock boxcar to roll over the double crossover that was constructed using Fast Tracks fixtures. Each time the table would rock, all four turnouts would switch, and the car would roll through a different route. To stop the car from rolling off the end of the table, small brushes would “pop” up between the rails, rubbing on the bottom of the axles and would slow the car to a stop. These brushes looked like weeds between the rails. This was quite effective, stopping the car every time and not causing it to come off the rails. Building this contraption was quite an involved project, taking about 4 weeks. The electronic controls to make it would seemed simple enough, but was very difficult. Working with timers is not simple, fortunately Ron was able to work out the necessary logic and design a schematic to make it work.